[blog post] Spinning out of control! 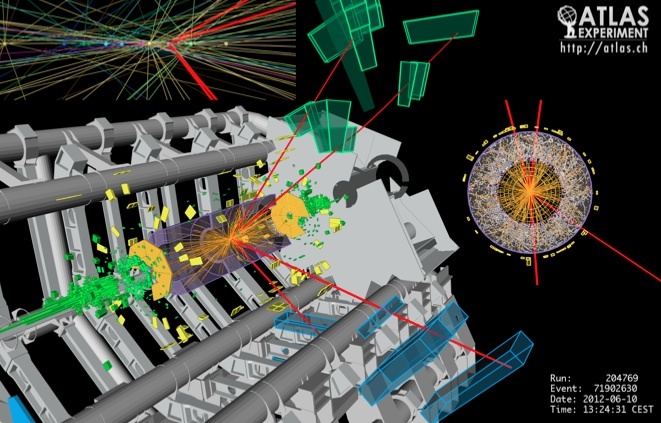 We’ve all heard the big news from CERN by now (if not then you might want to catch up on the latest gossip!) Right now most of the focus at ATLAS and CMS is on measuring the properties of the new boson we’ve found. The numbers of events are small, so studies are very difficult. One of the most important properties that we need to study is the particle’s spin, and luckily we can say something about that right now!